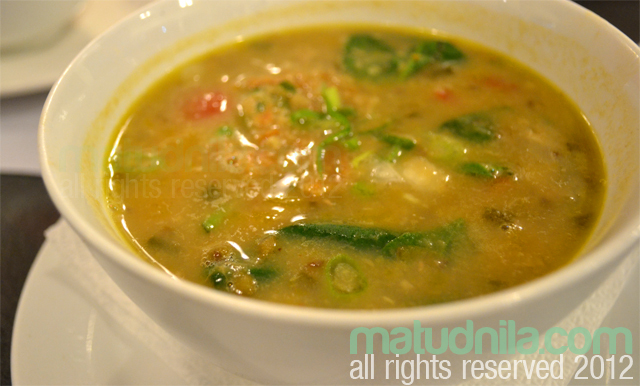 ZUBUCHON is bringing the name of Cebu, yes, the old name of Cebu during the Spanish era "Zubu". Zubuchon Resraurant in Cebu carefully roast their Lechon Baboy the old fashioned way and use as well fresh pick, home grown organic lemon grass or tanglad, green onion leeaves, siling labuyo or pepper, local sea salt and other local herbs and spices. 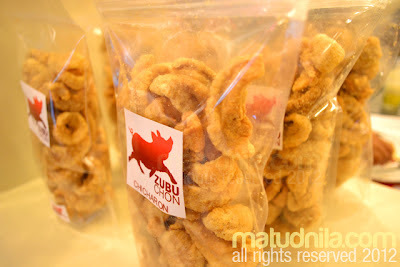 Zubuchon Resraurant is one of UFS Sooo Pinoy Food Tour destination in Cebu with their innovative approach on Pinoy's all time favourite Lechon Baboy. You might notice that Zubuchon's Lechon skin color is lighter than other Lechon in Cebu, yes it is. Zubuchon Lechon does not apply soy sauce on the skin and no MSG content too. Zubuchon roast pigs that weights not more than 45 kilograms since beyond this weight limit, the pig tends to have more fat content. The process starts with a careful selection of pigs to roast, Zubuchon select native pigs over commercial piggeries. As part of the process in cooking Lechon, pigs are detoxify for several days or weeks before they are slaughtered. Zubuchon Lechon uses good olive oil. Zubuchon, in the traditional way cook the pigs on bamboo poles over charcoal. Filipino dishes which are by-products of slaughtering a whole pig are also offered at Zubuchon Restaurant. Zubuchon LechonDinuguan, Sinigang na Lechon, Chicharon Bulaklak, Sizzling Squid Stuffed with Lechon Sisig, Chicharon and more. Zubuchon's Lechon Mongo is a good partner of rice alone, yes it taste more entices your salivary glands even with Lechon flavour. Zubuchon did a good job in revolutionizing their menu, and i highly recommended you to try it. 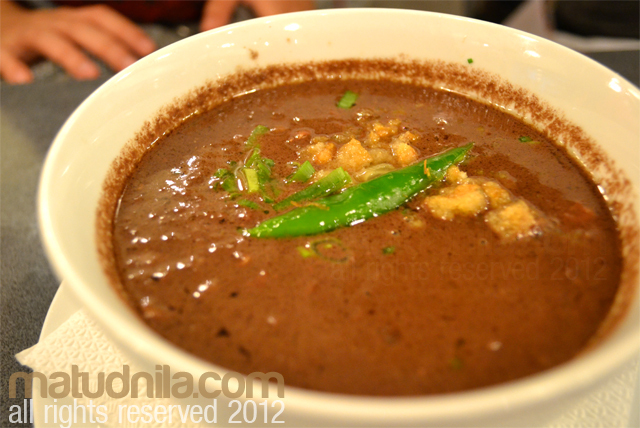 Zubuchon Desserts and Kakanin are also in: Sylvanas (Dumaguete) and the famous Biko. Seafood choices are also available: Steamed shrimps with dipping sauce, Sizzling Fish Fillet in butter and garlic, Sizzling Boneless Bangus, Fried Chili Shrimps, Shrimp Sinigang and more. Zubuchon pigs are detox before cooked. 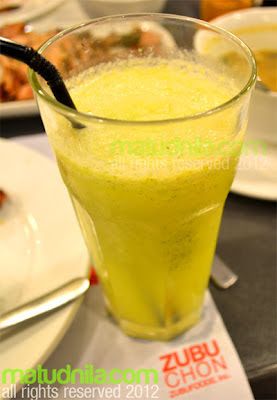 And you need also to detox yourself with the help of Zubuchon's Kamias Shake. Kamias or Cucumber tree is riched with Vitamin C, Calcium and Iron. A study is ongoing for it anti-obessity property. Less guilty while eating Lechon? Their signature detox shakes are also available in Santol Flavor. Call +63.32.236.5264 (office hours) or mobile at 0917.627.4761 on weekends and off hours. Look for Victor, Beverly, Roger or Eva. 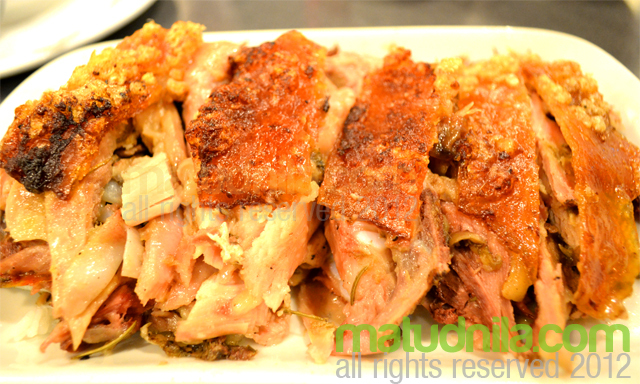 0 comments: on "Sooo Pinoy Food Trip Cebu: Zubuchon Cebu Lechon Recipe & Delivery"